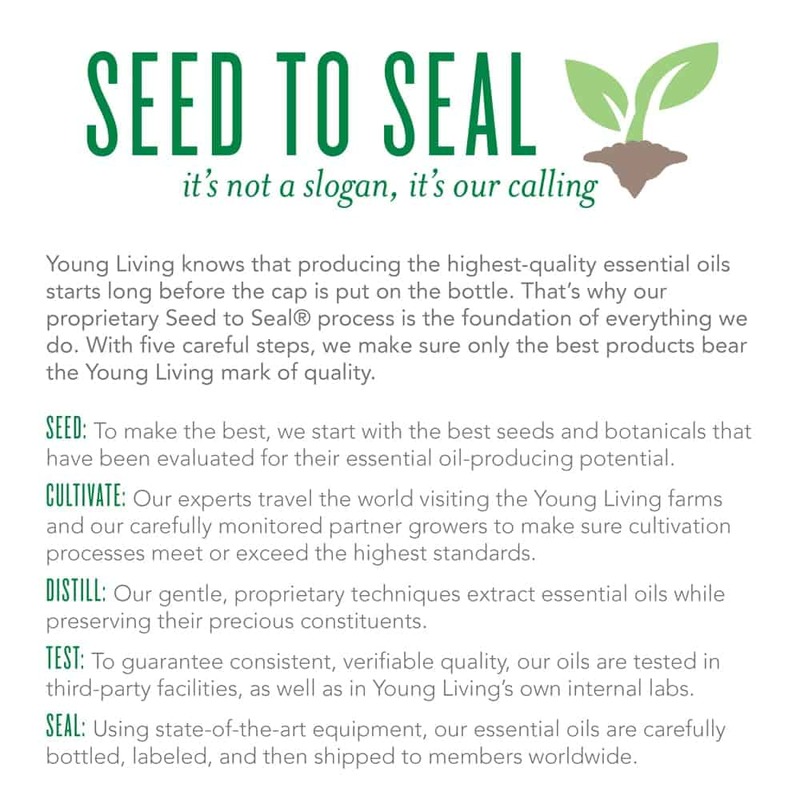 Why Young Living? There are tons of essential oil companies out there! I went with Young Living for a few reasons. First and foremost, Young Living owns their own farms and can guarantee that there are no chemicals used on their crops. Young Living also tests their oils in third-party facilities, so the results of the tests that say their oils are pure can be fully trusted! Beyond quality however, there is one other big sell for me, and that’s that I can have my distributor membership and buy my own oils at wholesale price without having to sell to anyone else. Obviously I want the best deal, and wholesale is it. I also don’t have tons of time to meet “minimum sale requirements”… (I’m busy blogging here). You just have to purchase a small amount of product (aprox. 50$) for yourself every year to retain your distributor status, but that’s it. I can not fathom why I would pay retail price for oils when I can access wholesale pricing (24% savings!!) just buy signing myself up. My friends and family order though me and I generally earn free products for every order I place, so I almost never have to pay for my oils anyhow. Interested in ordering your own oils at wholesale price (or selling oils to make some money)? First of all, where ever you are in the world, if you join through a link on this page and have any questions feel free to contact me! I will do my absolute best to answer your questions. In Canada, just follow this link, (It should populate automatically, but I’d sure appreciate it if you make sure the sponsor number / enroller number says 2330616!) fill in your information, and then decided whether or not you WANT to buy the premium starter kit ($199.75 plus shipping). I STRONGLY recommend purchasing the starter kit, as it comes with a dewdrop diffuser and 11 awesome oils, which to purchase individually would cost far more than the $199.75. BUT you are not required to purchase the starter kit, and you can just go ahead and buy whatever you want at 24% less than retail cost. YAY! Enjoy your oils and good luck selling if that’s what you want to do! If you sign up and place an order, you’ll notice that beside the price of every item there is also a PV listed. Young Living has assigned a “points value” to every product and if your order equals 190 PV you qualify for whatever freebies they are offering that month! This is one of my FAVORITE aspects of Young Living, as sometimes the “freebie” oils are expensive oils that I wouldn’t normally just “buy to try out”. If you don’t need 190 PV worth of oils yourself, offer to buy some for friends and family (at wholesale if you want!) just so you can qualify for the freebies. There are further freebies to be earned if your order reaches 250 PV and even more at 300 PV.